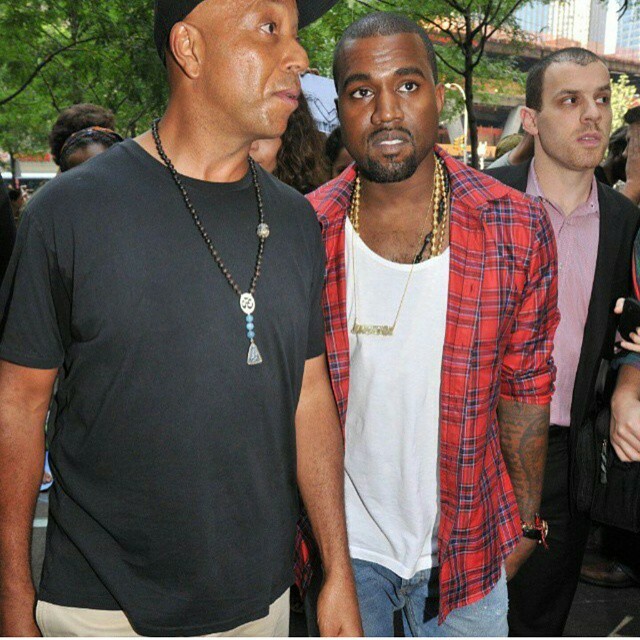 Russell Simmons and Kanye West want to change the fashion industry, but have conflicting ways on doing it. Hip-Hop mogul Russell Simmons is putting his money where his mouth is. But instead of storming on an established designer’s runway and claiming to have the best line of all time. Or ranting at a music concert, Russell decided to take all,I mean every last cent he makes with his Arglyeculture line he sells at Macys and donate it to Black empowerment. “I want to help create space for more black designers to have access to sell their lines in big American department stores,” he writes on Instagram. In another Instagram post he writes about donating profits to black empowerment designers and education programs. And giving neighborhood antiviolence programs a cut as well. It wouldn’t hurt to have more faces of color being on the stage, rather than in the audience.